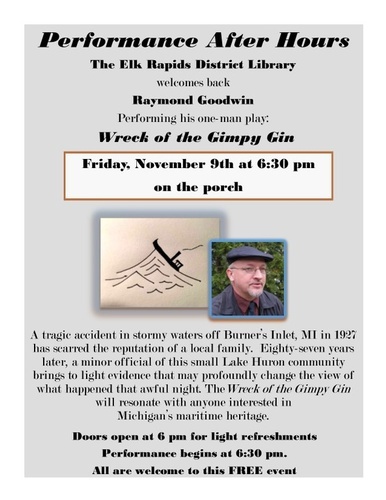 Elk Rapids District Library welcomes back Raymond Goodwin Performing his one-man play: Wreck of the Gimpy Gin. Doors open at 6 pm for light refreshments. Performance begins at 6:30 pm. All are welcome to this FREE event.